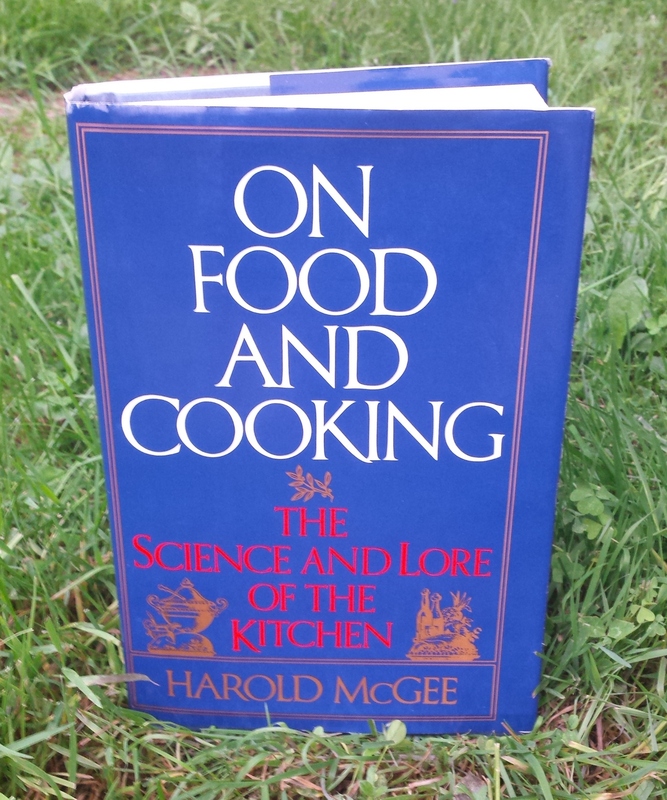 Harold McGee’s On Food and Cooking: The Science and Lore of the Kitchen is the best known food science cookbook, and has been for the last 30 years (and deservedly so). The first edition came out in 1984 and the second 20 years later. I found a copy at a library book sale years ago, but didn’t end up referencing it as much as I wanted to (maybe because I was overwhelmed by the sheer amount of information). It was a challenge that needed to be taken head on, and last month I decided to read it cover to cover. McGee has a doctorate in English Literature, so it is incredibly well written but also peppered with stories about the origins of certain foods and their names. Popular science books tend to glaze over concepts and leave out the gritty details, which McGee does absolutely none of. The chapters are broken up by types of food, including dairy, eggs, meat, vegetables and fruit, bread, sauces, alcohol, and additives. Most chapters contain the history of the food in our diet, overview of the chemical structure, chemical changes during cooking, and tips to avoid common mistakes and why they produce inferior foods. The breadth of this book is proof that McGee is not one to be scared of seemingly impossible tasks. The chapter “Fruits and Vegetables, Herbs and Spices” starts off with descriptions of plant food in mythology, quickly moves to botany, fruits and vegetables in language (we use fruits to “praise”, and other plants to “disparage”), history of the spice trade, plant breeding, photosynthesis, molecular structure, flavor, nutrition, storage and preservation, cooking, notes on 50 different plants/families, and then finishes with tea and coffee. You learn where the best nutrition in plants comes from (the skins), why to cut off green potato parts (alkaloids), why legumes cause gas, why you should blanch vegetables before freezing, and how canning kills the bacterium Clostridium botulinum. Why food behaves the way it does as it develops, deteriorates, or cooks and how cooking affects foods are essential questions to answer to be a better cook. This book is so well known because no other food science book compares to its breadth or depth. It belongs on every home cook’s shelf because sometimes it takes a little more than googling to understand why and how our foods behave the way they do, and why we are even eating them, and it is rare to have such information delivered with McGee’s eloquence. If taking on the whole thing at once doesn’t interest you, it is definitely the kind of book you can read a chapter or section of, and then leave for a while and return to. It is a rare and wonderful thing when such an informative book is also a delightful read. This entry was tagged book, Harold McGee, On Food and Cooking, reference. Bookmark the permalink.